The breast implants you choose will have a direct impact on the look and feel of your breast augmentation procedure. Indianapolis plastic surgeon Dr. Joseph Fata offers both saline and silicone breast implants, allowing him to meet the unique needs of each of our patients. During your initial consultation, Dr. Fata will review your options, discuss the benefits and limitations of both implant types, and help you choose the right one for your needs. 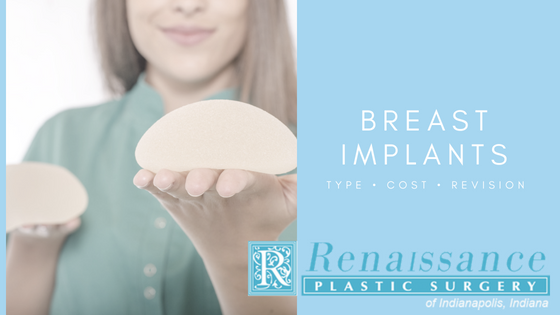 If you live in Indianapolis, Carmel, Noblesville, or surrounding areas of Indiana, call Renaissance Plastic Surgery at 317-575-9152 to learn more about your breast implant options. Board-certified, compassionate and attentive, Dr. Fata welcomes an opportunity to meet with you to discuss your desires, your options, and the best way to achieve ideal breast augmentation results. Saline breast implants are filled with a sterile salt water solution. Because they are filled after they have been placed, Dr. Fata is able to reduce the size of the incision, which may help minimize post surgical scarring. However, proper incision care will also help reduce visible scarring after breast augmentation. Saline breast implants can be adjusted to the perfect size after they have been placed. This gives them a unique advantage over silicone and may allow for greater personalization of results. However, carefully selecting the ideal implant size before surgery serves a similar purpose. The saline used in breast implants is formulated at the same concentration as your body’s natural fluids. Any leaks that may occur are harmlessly absorbed by the body. What’s more, there is no chance of an undetected breast implant leak because as the saline is absorbed, the breast implant will shrink and change the appearance of your breast. The saline breast implants offered at our Indianapolis plastic surgery office are generally covered by a 10-year warranty. Silicone breast implants are pre-filled and will require a larger incision than saline alternatives. However, with proper care, your breast augmentation incisions will fade over time on their own - and their placement by Dr. Fata is carefully done so as to reduce risks of visible scars. You can further reduce this risk by not smoking during your recovery period. One relative disadvantage of silicone breast implants is the risk of a silent leak. A small leak in a silicone breast implant that has not spread and is not causing any symptoms may go undetected. However, with routine breast exams, leaks can be detected and implants replaced as needed. Dr. Fata offers submuscular (completely below the muscles in the chest) and dual plane (partially above, partially below) breast implant placement. A third option, subglandular, places implants above the muscles of the chest and is offered by some cosmetic surgeons. Dr. Fata has found that subglandular placement of breast implants does not offer enough support and can lead to imperfections including sagging breasts, double bubble, and implant rippling and wrinkling. For these reasons, he has decided not to offer above the muscle breast implant placement. Submuscular breast implant placement is best for women with very little natural breast tissue, but may also be ideal for women who have chosen saline breast implants. Covering your implants with both natural breast tissue and chest muscles reduces the risk of visible imperfections. Some research indicates that this placement may also reduce risks of capsular contracture - a rare but painful breast augmentation complication in which scar tissue forms a tight and painful capsule around the implant. Dual plane placement may be ideal for women with a larger amount of natural breast tissue. Without muscle covering the implant, sufficient breast tissue will need to be present for the most natural looking and feeling results. This is less of an issue when form stable breast implants are used. All women are different. During your initial consultation Dr. Fata will review your options, listen to your concerns, and help you choose the best solution for your needs. Round breast implants may have a smooth or textured outer shell. Texture, which helps keep implants in place, is less of an issue with round implants, however, because they are the same dimensions no matter which direction they rotate. Teardrop breast implants, formerly known as “anatomical breast implants,” are shaped to the contours of the female breast. Most often textured to prevent rotation, teardrop breast implants may be better suited for perfecting breast shape in addition to size and may be the best option for women who are also good dual plane placement candidates. During your initial consultation, Dr. Fata can discuss this with you in greater detail. Perhaps most importantly, however, the size of your breast implants will need to be based on the final look you desire. Dr. Fata takes great strides to produce natural looking results that are directly in line with the goals of each patient. He will take time to carefully listen to your desires to help provide you with the look of your dreams. ​Breast augmentation with saline breast implants costs $4760 through our Indianapolis office. Included in this are all surgical costs, pre and postsurgical visits, and charges from attending staff such as anesthesiologists. Breast augmentation with silicone breast implants costs $5510 when performed by our board-certified plastic surgeon. 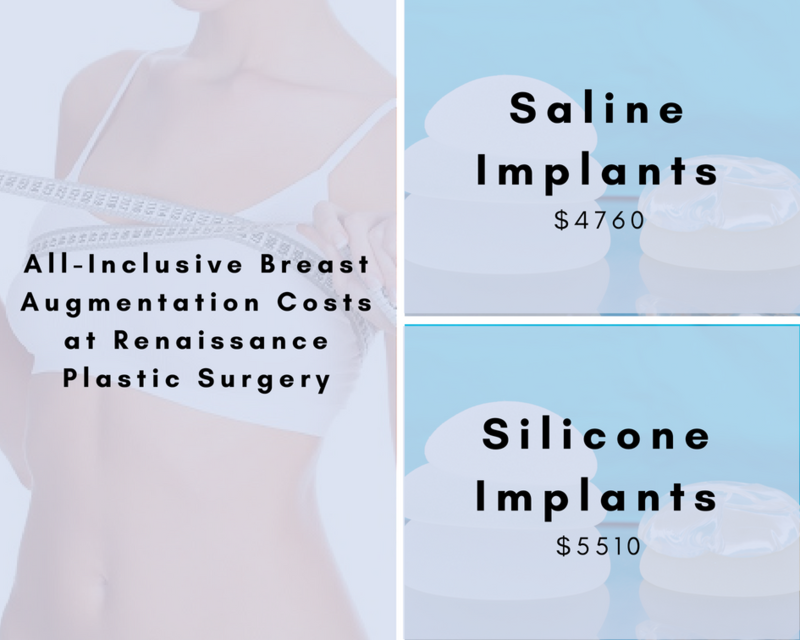 This cost, like that for saline breast implants, includes all charges related to your breast augmentation surgery. All of the breast augmentation procedures performed by Dr. Fata are done at either St. Vincent Hospital or the Carmel Ambulatory Surgery Center, where he has is on staff. The fees from these accredited surgical facilities are included in the cost of breast augmentation. If you are interested in breast augmentation but not in paying for your procedure in one lump sum, we would be happy to discuss your financing options. Renaissance Plastic Surgery has partnered with Key Bank, a leading Indianapolis financer, to provide affordable breast implant financing. During your initial consultation we will provide you with information about payment options to help you choose the best way to cover the cost of your breast enhancement surgery. If you had a silicone breast augmentation prior to 1990, you should have a full evaluation, which may include an MRI scan, to determine if there is a leak. Earlier generation silicone breast implants have a higher chance of leaking. If your breast implants were placed after 1990, there is no set time for replacement. In fact, there may never even be a need. However, you should have annual check-ups to look for breast implant leaks and capsular contractures. If don’t have either of these two problems and you are satisfied with the appearance of your breasts, then there is no need to replace your implants. 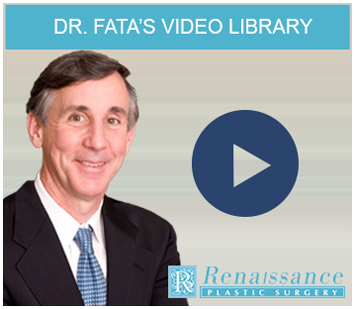 If you do have either a leaking implant or a capsular contracture, Dr. Fata can replace the affected implant. However, if you want to change breast size or implant type, such as saline to silicone, both implants will need to be removed and replaced. It is relatively rare to remove implants without replacing them, but it may be needed in cases of repeated capsular contractures or recurrent infection. Such situations are very infrequent but are possible. Are you interested in learning more about breast implants and your breast augmentation options? Please call 317-575-9152 to schedule a consultation today. Located in Indianapolis, Renaissance Plastic Surgery welcomes patients from Plainfield, Pittsboro, Markleville, Boggstown, and throughout Indiana. 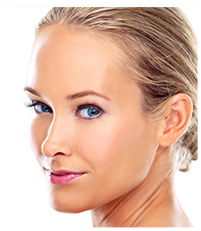 Dr. Fata is a board-certified plastic surgeon who has been providing personalized cosmetic services since 1992. A RealSelf Top Doctor with a high rating on HealthGrades, Dr. Fata is known for his dedication, high standards of patient care, and commitment to the health and happiness of each person he sees. He looks forward to meeting with you for a better understanding of your desires, and in working directly with you to help you achieve the results you deserve.